Omer Khan Wazir left his ancestral district of North Waziristan with fellow tribal members when Pakistan’s army launched the Zarb e Azb operation some two years ago in FATA. The Khost governor’s office confirmed the death of the tribal elder. The assassination was launched and the culprit ran away from the scene, which was searched by the Afghan Security Forces. The Pakistan tribal areas remained a hotbed for the Pakistani Taliban, Al Qaeda, Uzbek and Punjabi Taliban militants who launched attacks across Afghanistan and Pakistan, targeting government and international communities in Afghanistan. Omer Khan had criticized the Pakistan government for the hard times of the people in the areas (FATA) he had left. “Punjabis interfere on both sides of the Durand Line,” says Omer Khan in a file video available with ArmedPolitics. The Zarb e Azb operation displaced nearly two million people of north Waziristan and the rest of FATA. 100,000 people fled to the neighboring Khost province of Afghanistan. Where under the monitoring of United Nations high commissioner for refugees and Afghan government registered them as displaced owing to conflict. Pakistan blamed Afghanistan for giving space to the displaced people fleeing north Waziristan, one of FATA’s agencies. 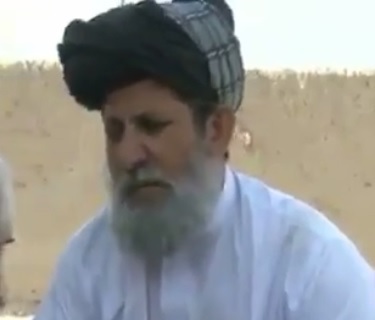 Different groups are involved and active in the region of Afghanistan and Pakistan, the former Tehreek e Taliban Pakistan members, the Uzbek fighters, and Al Qaeda killed more than 1,200 tribal elders from across the FATA, Khairullah Wazir, one of the residents of north Waziristan told ArmedPolitics. “No doubt the death of Malik Muhammad Omer Khan Wazir is an act of those who have killed several tribal elders,” says Khairullah Wazir.